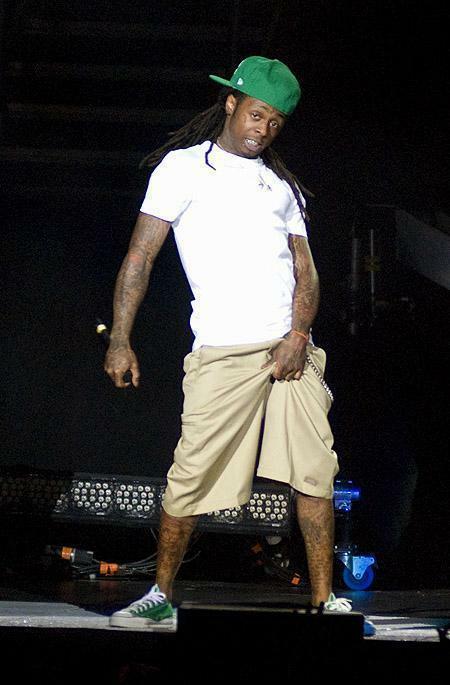 His pants go down ;). . Wallpaper and background images in the Lil' Wayne club tagged: pants hands concert wayne weezy lil wayne singer rapper the best rapper alive. lol dahtss aa pweeetyy funiii pik! !